Last month my doctor sister found out where she is going for her residency and I could not be more excited! I have been told by multiple people that I would love it (from what I've heard who wouldn't?). I don't have any set plans to visit YET but I am hoping to get there this summer. I know there are a lot of bloggers in the area so I would love to hear your suggestions on places to shop, where to eat, things to see. I will pass on recommendations to my sister who will be moving to Charleston in June. 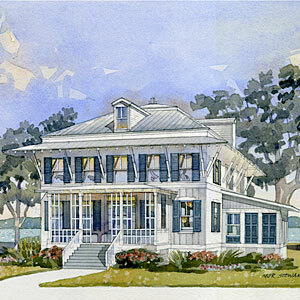 This year's Coastal Living Showhouse will be on Daniel Island, near Charleston. The showhouse will open to the public at the end of June and tours will take place through October. 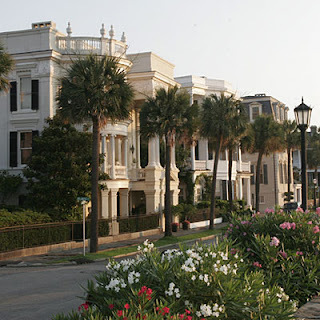 I have never been to Charleston, but it's definitely on my list (top 5) of places to visit! Thank you! She is thrilled and I am excited to visit! I might sell my dog to get stationed in Charleston. We've tried his entire career to get there! Now we're moving to Cape Cod, which is as close as we could get this year. I'm in love with that city. I had no idea your sister was moving to Charleston! Can I come? I went two years ago over St. Patrick's Day and I fell in love! "Husk" is my favorite restaurant of all time. OMG I am so jealous of her! I have only been once, but Charleston is my FAVORITE city! I keep hoping my husband's company will open an office down there. Lucky girl! SOOO much shopping and dining to chose from ! My favorite city in the US. You are going to love visiting! 1. Visit Boone Hall Plantation. It has that super iconic spanish moss draped, oak lined driveway. It's where they shot scenes from the Notebook, and where Blake Lively just got married. It's beautiful, but make sure to bring bug spray--there were literal clouds of giant mosquitoes! 2. 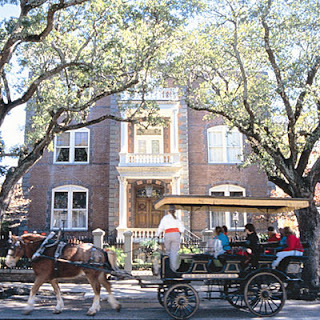 Take a carriage tour. They're all over the city, and it's a good way to learn some cool history while seeing some of the best houses. 3. Take a few house tours. We did Calhoun Mansion, and it was really cool. 4. EAT! Since most of our Charleston trips were day trips while staying in Myrtle Beach, I haven't eaten a ton in Charleston. But, I love Pearl's Oyster Bar--sit at the bar and order a ton of appetizers. SO GOOD! I've also heard great things about Poogan's Porch. I'm going to be one of "those" people and pimp my blog. But, really, I just want to show you some of my pictures from when I went! 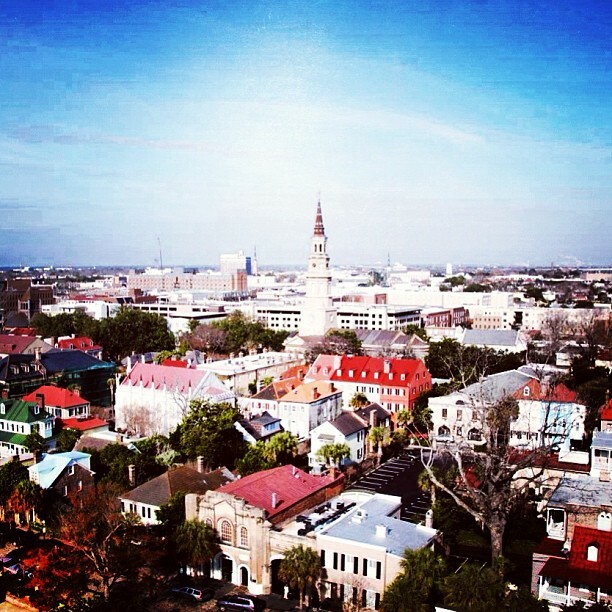 Well you already know that I love Charleston and I LOVE living here! It's the best city. I also did a little blog post where I created a sample itinerary for things to do around Charleston - http://sweettea-lemonade.blogspot.com/2013/02/its-charleston-sweetheart-yall-know.html. If you ever have any questions or need recommendations, don't hesitate to ask! 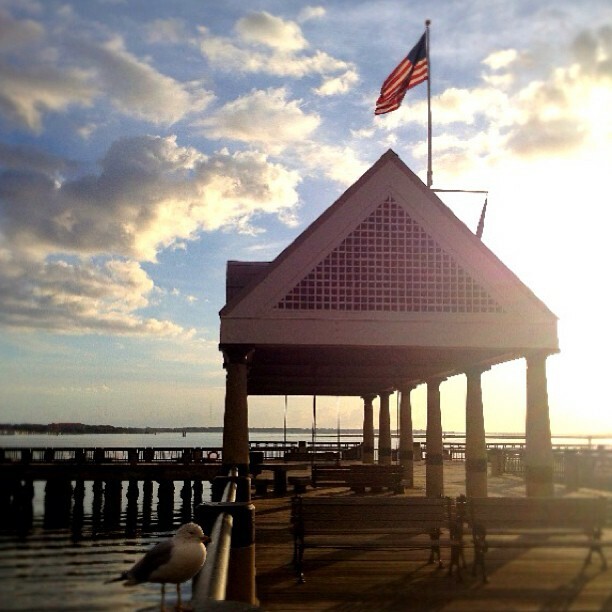 Love Charleston! Husk is an absolutely delicious restaurant and the King Street shopping is amazing! I am making her a list of recommendations and will definitely be adding Husk! Oh you will totally LOVE Charleston! One of my favorite ciies!! Great food, lots to do and see, and more great food...it's awesome! Can't wait to hear about your trip as it gets planned out. Charleston is GREAT! I'm from South Carolina and it is my favorite city. Let me know if you need suggestions on placed to go! Give her my email! I live in Charleston and can answer questions or help her out if she needs it. I work right by MUSC and live on James Island! And when you come visit we will need to rendezvous!! Great city! My aunt/uncle and cousins all lived there while we were growing up so we made yearly visits. I have always loved Blossom Cafe and Magnolias. I would suggest going in September. It is so sticky, humid and hot in the summer! Congrats to your sister! 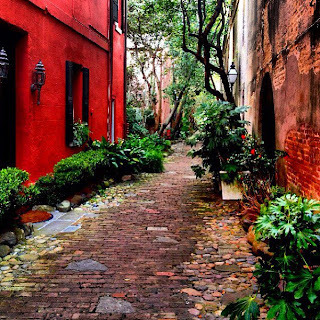 You will LOVE Charleston- it's my favorite city after Annapolis. King Street has great shopping, there are so many different tours you can take and food- there is so much good food! Husk and SNOB are some of my favorites. some of my favorites from there- Poogan's Porch, SNOB, and there is a great rooftop bar at the Vendue Inn that was fun. Have fun when you go visit!!! I have a boarding school classmate who lives on Daniel Island and is a realtor. Let me know if your sister needs any housing recs and I will put you all in touch with her! When you come for a visit let me know! I will take you to Middleton Place, where I volunteer! It's a great old plantation with the oldest landscaped gardens in the USA. King Street has the best shopping! How exciting! I'd love to visit Charleston. I hope you make a few trips out to see her. Huge congratulations to your sister. Looks like such a fun place to visit/live! Thanks! It is always on lists of great cities to live in. Can't wait to visit!